When faced with an abundance of tomatoes, making a relish can be a good way to preserve them. 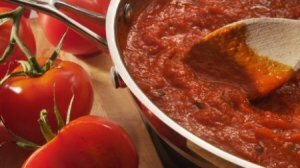 This page contains tomato relish recipes. Easy to make! Delicious to eat! Serve with cold meats or on sandwiches. Can be made with either green or ripe tomatoes. Overripe tomatoes (sometimes cheap to purchase) are ideal for this. Cut the tomatoes and onions into walnut size pieces and put in a pan. Add 2 1/2 cups sugar and 1 cup vinegar. Heat, stirring until sugar is dissolved. Bring to boil, and simmer 5 minutes. In a separate bowl, mix the remaining sugar, vinegar, salt, spices, and flour. Combine flour mixture with tomato mixture, and stir over medium heat until thickened and smooth (about 10 minutes). Allow to cool, ladle into jars, and seal. Refrigerate until required. Great way to use some of the veggies from your garden. Combine tomato, onion, and green pepper. Stir together vinegar, sugar, salt, celery seed, and pepper. Stir into tomato mixture. Chill thoroughly. Drain well before serving. Don't know about some of you but our garden is pretty well dried up now. Here is a great recipe for using up the green tomatoes that you have left on the vines. Mix all together. Bring to a boil in a large pot. Fill canning jars, seal. Put into a water bath. Do not overcook. Source: this is the recipe that I had asked for and want to thank all that answered. I came to find out this is the one I was looking for and my neighbor happened to have it. This is like you get at Cat Fish King. Hope everyone likes it as much as we do. I made relish and find it is too sweet. I used liquid mustard instead of powder so wonder if this is the problem. Is there any way I can reboil it and add something to take that sweetness away? I would appreciate any help. My hubby is the chef of the house, and when he does something like this, he ads (literally a drop at a time) some apple cider vinegar to the mix and keeps tasting until it gets where he wants it. Some people use lemon juice...which works too...again...drop by drop as you don't want it to get too bitter. I would not reboil it through...just mix it in as is...reboiling could spell disaster. I would also only use a little, at a time, until your relish is the flavor you want it to be. I made a batch of tomato relish. This is my second time, but it is way too salty. How can I fix it? The next time you make it, cut back on the salt. Be sure you change the recipe so you won't do it again. As far as this batch is concerned, can you make a second batch without salt and put it with the first batch? If not I am afraid you can do nothing about it. Maybe you could add sugar to the jars as you open them, to counteract the salt, or just add chopped fresh tomatoes to the relish. It could also be used in cooking, in a dish where the saltiness would be "spread out" over a whole casserole or something. Just don't add any more salt to that dish! Hope you didn't make a huge batch! Thank you very much guys for your help. Cheers. I have just made a batch of green tomato relish. Somehow it seems to be too spicy as in perhaps too much curry powder or mustard. Any help to make this relish less spicy would be appreciated. Try rinsing the relish with water before you use it as relish. Also, try cooking meat, such as chicken, pork or beef etc., in slow pot with the relish and do not add any other spices or salt. 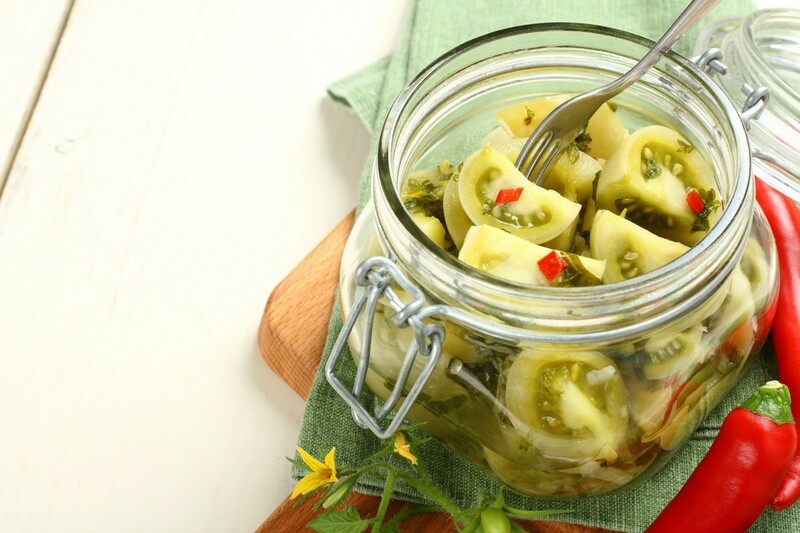 Dill pickles are good to do this way so maybe this method would work with your relish. 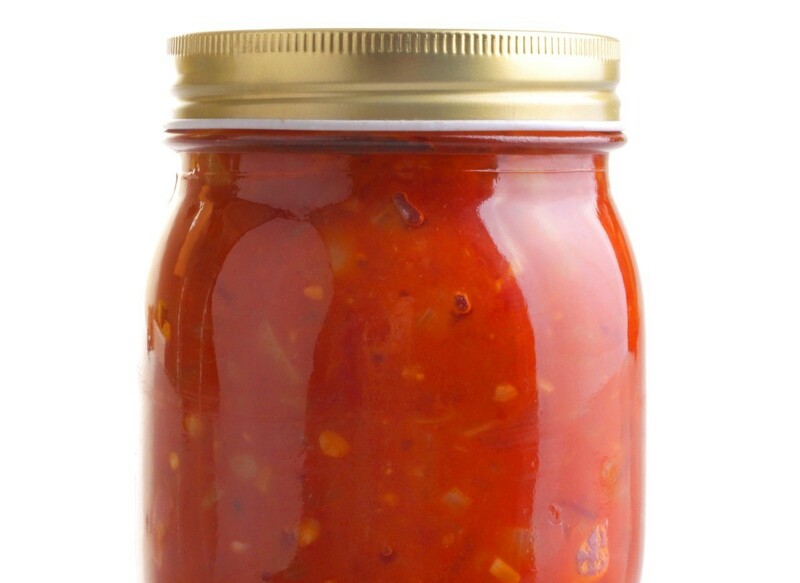 Wild's Ezy-Sauce is a popular ingredient to use when making tomato relish. This page has information about how to make tomato relish using Wild's Ezy-Sauce. A great way to use up tomatoes that haven't ripened when the growing season is over is to preserve them in a relish. This is a guide about canning green tomato relish. Does anyone have the recipe for a green tomato relish like they serve a Catfish King or similar places? Mix brine, and bring to boil in large saucepan. Add vegetables, and simmer for 30 minutes, stirring occasionally. Let cool, and put in sterile jars or refrigerator containers (put containers through the dishwasher with no detergent to sterilize) Refrigerate. Will keep in the refrigerator for about 9 months. Recipe can be halved if it makes too much for you to use. I just opened my last container of relish that was made in November 2006 when we got our first freeze, and it is as good as ever.